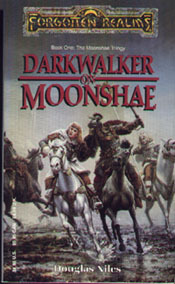 Darkwalker on Moonshae, by Doug Niles, the first novel written in the Forgotten Realms setting was released. On the side of Evil: a relentless army of giant firbolgs, dread Bloodriders, and preternatural incarnations of the Beast, the sinister Kazgaroth. 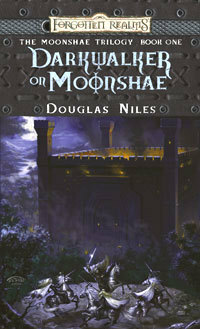 On the side of Good: an uneasy alliance of halflings and dwarves, bards and druids, sister knights, and the powerful children of the goddess Earthmother - the unicorn, the Leviathan, and the Pack.